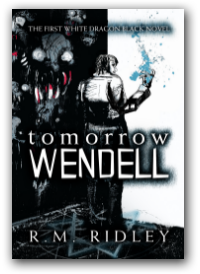 Private investigators and magic are common ingredients in Urban Fantasy novels, but in “Tomorrow Wendell” they are used and mixed in a new and interesting way, blowing a breath of fresh air in the genre with its fascinating combination of noir and supernatural. Jonathan Alvey is a P.I. and also a practitioner, i.e. a performer of magic in the city of New Hades – an interesting choice of name at that. In this world, magic and the metaphysical exist side-by-side with everyday life but never cross because, as Alvey explains at some point, people school themselves to see only what is acceptable: consensual reality is the lens through which average citizens choose to filter and un-see details that are outside of accepted experience. There is a sad realization here, one that reached out from the page and spoke loudly to me: as a long-time consumer of speculative fiction I have had to deal with the frowning bafflement of those who could not understand my interest for stories and worlds that exist a few steps away from reality. The magic is indeed here, it’s just that not everyone is ready (or willing…) to see and appreciate it. Back to the story at hand, one day Jonathan Alvey is contacted by Wendell Courtney, a man haunted by threats about his imminent demise, all given by inanimate objects: an automatic fortune teller, a prediction toy and so on. The investigator understands that, no matter who or what wants Wendell’s death, magic is part of the equation and he takes the case to heart. One of the reasons Jonathan comes across as such a sympathetic character is that he cares deeply about his clients: we’ll learn the reason why in the course of the book, but knowing it does not detract from his essential humanity, a trait that is also mirrored in the way people he has befriended react to him. Contrary to the usual cliché of the cynical and world-weary private investigator, Jonathan is passionate about what he does and never takes personal consequences into account when he’s on the job. Alvey’s quest to discover the origin of the threats to Wendell starts somewhat slowly, but gains momentum along the way, transforming into a breathless battle with various creatures as the hour appointed for the client’s death draws near. It’s a grim battle, one that taxes Jonathan both mentally and physically and at the same time showcases his stubborn resilience – and his sense of humor: there’s a sentence that I underlined in the book, because it was both quietly funny and well timed as a tension breaker. On a “technical” side, in the course of the book I kept thinking it would have worked even better if it had been written in the first person: although Jonathan Alvey comes across as a likable character, the third-person narration keeps him somewhat removed from the reader, and a more direct connection with his thoughts would have brought him closer. There are also a few typos, and repeated or misspelled words that mar the fluidity of the storytelling, but not in a major way. All in all, a series and an author to keep on my (and anyone’s!) radar for its fresh and intriguing approach. I’ve been eagerly waiting for the launch of this novella since reading about it from the author: her highly successful Newsflesh trilogy left me wanting for more and this shorter offering promised to be just as gripping and terrifying as the parent work. Well, it went way beyond my expectations, in more ways than one. Mostly, I thought that being familiar with the post-Raising world, that familiarity would somehow… cushion me from the worst side-effects of the story, but I could not have been more wrong, because Mira Grant chose to focus on the innocent by definition – on children. And this raised the emotional stakes in a way I would never have foreseen. I thought I knew everything there was to know about this future Earth where the Kellis-Amberlee virus brings the dead back to life (sort of) and transforms them into murderous flesh eaters; about the constant blood tests and the constant vigilance; about the fear that has gripped the world and transformed it to the core. But there are so many aspects about life after the Rising I had not thought about: the school system, for example, and the special means required to teach young children. The innocent. It was a chilling realization to focus on the fact that many of the early childhood incidents I consider normal – a skinned knee, a bloody nose – represent a grave danger in this changed world. That common kindergarten or first-grade activities need to be strictly monitored lest they lead to a lethal outbreak. Yes, because if these children are too small to “amplify” (i.e. turn into zombies), their blood contains the dormant virus all the same, and it can infect an adult just like a bite. 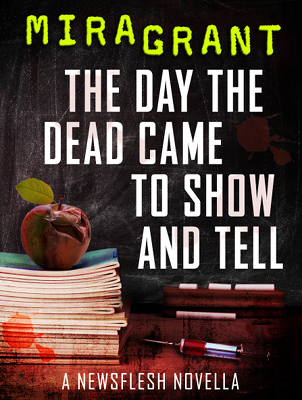 This is exactly what happens in the school where the action unfolds: the scraped wrist of a curious kid results in a bloody massacre, the innocent act of an innocent creature causes unending grief and destruction. I’ve been looking forward to this book since I saw it mentioned online: my only experience with Joe Abercrombie’s writing has been with Best Served Cold, one of the most fascinating reads of the past few years, and that single one was enough to make a fan out of me. This new work went beyond every expectations I had, even though many articles indicated it would be Abercrombie’s first attempt at a YA novel: that’s not a sub-genre I enjoy, but I wanted to trust the author, and the gamble paid off handsomely. 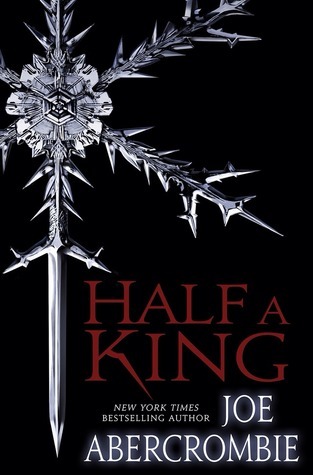 First things first: in my opinion, the only reason this novel as been marked as YA (apart from some possible marketing goals) is that the main character is a teenager, and probably because the graphic (but never gratuitous) violence I encountered in Best Served Cold is quite toned down here. But that’s about it, because the themes are very adult, and the protagonist reacts in a very adult, believable way, while he travels on his coming-of-age journey. Young Prince Yarvi is the second son of the king of Gettland and is being groomed for ministry – in other words, a cross between diplomat, alchemist and back-room counselor. That would probably be the normal fate for any second son, but Yarvi has something else working against him, because his left hand is crippled – he was born deformed, the perpetual object of scorn from his father, older brother and the whole court – half a man is the kindest description attached to him. Not having been raised in the warlike customs of his people, he had the means of developing intelligence, cunning and knowledge to counterbalance his lack of physical skills, and he’s quite content of waiting for the final exam that will sanction his acceptance as a minister. Unfortunately, both his father and brother are killed in an ambush and he’s raised to the throne, a position he feels totally inadequate for – as courtiers and people alike are more than happy to remind him. Yarvi tries to do the best he can with what he has, until the day he’s betrayed and sold into slavery, ending as a rower on a merchant galley: this marks the beginning of his evolution, because the strife for survival in a harsh environment toughens him up in unexpected ways – both physical and psychological – and he gathers around him a motley crew of friends and allies that will follow him on his path to revenge. Or again “…he had left a boy, and returned a man.” His life until the moment of betrayal had been a continuation of childhood, something he might have sought to prolong by hiding his shame and inadequacy in the Ministry: once forced to grow, he knows he can hide no longer. When I was contacted about reviewing it, I thought the subject matter was somewhat strange and out of my “comfort zone”, but I was curious enough to stick my neck out, so to speak, and see what it was about. Well, the gamble paid off, because it was an outlandishly funny read. 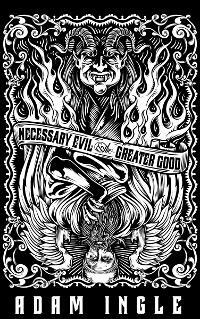 Mestoph and Leviticus are a demon and an angel, respectively, and despite working for rival companies – Hell Industries and Heaven Inc. – they have struck an age-long friendship, based on their mutual dissatisfaction with their boring, routine jobs. What Mestoph and Leviticus want more than anything else is to escape that boredom, and to that end they concoct a crazy plan to bring about the end of the world, breaking the impasse created between their firms and a third player, Free Will International – a company founded by “highly evolved humans of scrupulous moral character from various religions and walks of life such as Gandhi, Mother Theresa, and Larry King”. The two friends set in motion a plan that involves the theft of an Omen and a Prophecy, and the forced participation of two hapless humans, Marcus and Stephanie – plus Marcus’ very special dog, Sir Regi. As most crazy plans are wont to do, this one starts with the wrong foot and goes spectacularly from bad to worse, in a kaleidoscopic, Hitchhikers-Guide-like merry-go-round that calls into play several figures from major religions and mythical characters from the Norse and Greek pantheons, just to name a few. Tongue-in-cheek humor is the main ingredient of this book: humor about beliefs, about iconic figures, heroes and myths, but it’s never disrespectful – at least I never saw it that way, even when it involved beings like the Christian God himself, or Saint Peter, or Satan. I think that even people who hold strong beliefs could not feel offended by the story’s take on such figures because it’s done with a light hand and the will to bring up a smile, not to make impolite fun of it all. Heaven and Hell are depicted like multinational industries, with highly-placed CEOs who behave like their mundane counterparts, and floors upon floors of employees who carry on in what looks like corporate drudgery: so it’s not difficult to feel sympathy for the two rebels, especially when the reader realizes that, far from being bona fide supernatural beings, they are prone to astounding mistakes just like the rest of us poor mortals. One of the main strengths of the book comes from the interaction and friendship between Leviticus and Mestoph, their rapid-fire conversations and their equally bumbling attempts at playing conspirators: the fact that they are actually trying to destroy the human race to… liven up their existence, becomes less important than their antics as they strive to reach that goal. The book is not immune from some flaws, like several typos that need to be addressed, or the lack of deeper characterization for Marcus and Stephanie, that are overshadowed by their better-defined companions, even the ones that serve as minor figures, but all in all these flaws don’t detract from the enjoyment of the book. Mestoph set the Omen down, opened his trench coat, and pulled out a large poster tube from the deep pocket he had dubbed the Highlander Pocket, named for the propensity of the sword-wielding characters from the popular movies and TV series to pull a full-sized katana or claymore from out of nowhere. This is just one example of the kind of humor you will find in this book, a fast, entertaining and different story that I can happily recommend if you want to enjoy something unusual. This is an article I’ve been considering for quite some time now: much as I love losing myself in books, I do enjoy a well-made show that can be as complex and entertaining as a novel. Babylon 5 is such a show: with its 20-odd years of life it’s far from new, and considering the swift recycling speed of the medium it could be seen as positively ancient, yet I believe it still holds out against younger competitors. I know it does for me, and for its many fans, gaining in depth with each rewatch and still capturing new viewers who are introduced to it. Granted, the CGI and special effects DO show their age, but with Babylon 5 this is hardly an issue, because eye-candy is not what matters here: this show was written as a novel, each of its parts encompassing a season, and the story and characters don’t need FX to stand up on their own. I’ve often thought that it could have been presented as a stage production, and it would not have lost one little bit of its enormous appeal, mostly thanks to the strong writing and the amazing performances of so many talented actors. 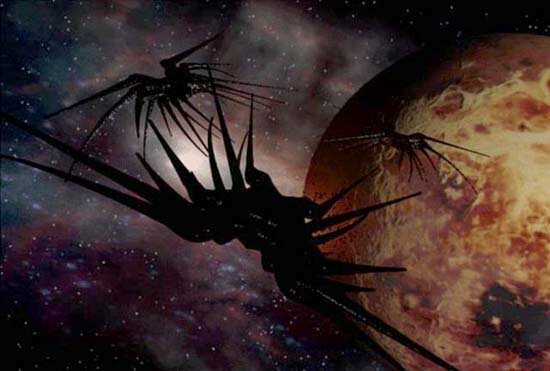 What makes Babylon 5 special, and what captured my attention back in 1999 when I discovered it, is that its story is conceived as a whole – exactly like a novel – rather than a collection of stand-alone episodes. There is a number of those as well, especially in the first season, but as the drama unfolds and evolves you can see how some apparently unrelated detail shown in one of those episodes leads to an important revelation at a later time. The sense of continuity is strong and it requires you to pay attention, to be alert: until I started watching Babylon 5 I had not realized how much serial tv relied on the “reset factor”, on the viewer’s forgetfulness about information given in one episode and contradicted a few episodes later. This was something else, a thought-provoking show, one that made demands on a spectator’s intelligence instead of trying to put it to sleep, or altogether denying its existence. One of the show’s characters at some point says “Nothing’s the same anymore”. Well, after B5 nothing was indeed the same anymore for me, at least for televised science fiction: it set the bar higher, and made me more demanding in the matters of overall quality. It changed the rules. 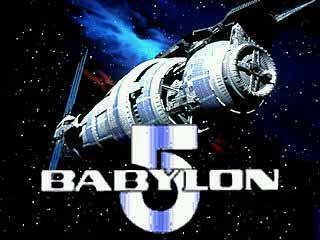 The time-frame of the story is set in the middle of the 23rd century: Babylon 5 is a space station that serves both as a commercial transit point and as a diplomatic hub for the various races inhabiting the explored part of the galaxy. The overall situation is far from easy: Earth is still recovering after the end of the war with the Minbari, ten years previously, and the uneasy truce between the two races hangs on the unexplained reasons for the Minbari’s sudden surrender after coming very close to wiping out the human race; the Centauri empire is on a downward spiral and under threat from the Narns, seeking revenge after a century-long, bloody Centauri occupation; the mysterious Vorlons present a puzzle everyone wants to solve; various minor civilizations keep clashing with each other in search for military or economic supremacy. Telepaths are an everyday reality, and Earth’s Psi Corps represents both a powerful political force and a darkly disturbing entity. Social strife is far from removed from day-to-day life, represented on the station by the multitude of dispossessed people – unkindly named “lurkers” – that eke out a miserable existence in the “Down Below” slums. This is not a peaceful, enlightened universe; there is no utopia to be enjoyed by all. And for this very reason, because B5 is a mirror of our present set in a futuristic background, it feels more real. Characters are not clear-cut good or bad, they are flawed and many of them hide secrets, even the ones that are represented as positive, at least on the surface. There is a sentence that encapsulates the entire story-arc and the evolution of the various players: No one here is exactly what he appears. Because people change, they react to what happens to them and they don’t remain the same episode after episode: evolution or regression, a walk toward enlightenment or a plunge into darkness, they are organically real. Believable. It’s certainly one of the reasons for the strong connection they establish with viewers: I can say from personal experience that you come to care for them, share in their triumphs or suffer for their downfalls. After a while they stop being characters on a screen and become flesh-and-blood people, and the viewer feels invested in them. And in the story. Tv shows (like books) are often defined as either plot-driven or character-driven: I think that Babylon 5 is both. If the characters are its strong point, thanks to the solid writing and the equally stellar performances of the actors giving them life, the story stands on an equal footing. Conceived as a novel, with the backbone of a narrative arc deployed over the five years of the show’s run, it employs not only the usual elements one can find in a science-fiction medium, but introduces other details that might very well be termed as fantasy: there are prophecies, and a strong vein of mysticism, and even a touch of sorcery in the figure of the Techno-Mages, who use science in such ways as to appear to wield magic in the truest sense of the word. The first season is all about laying the groundwork for what will come later, and probably for this reason is considered the weakest: the ratio between stand-alone episodes and arc-episodes leans more toward the former, but with hindsight one can perceive how little clues are put there, more often than not in an unobtrusive way, only to become triggers for revelations at a later date. 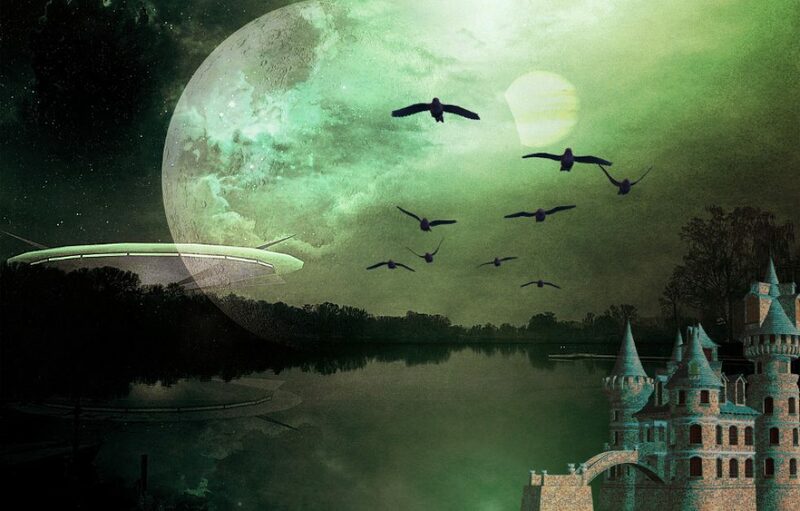 If you can get past the apparently unconnected events and look deeper, you can perceive the sense of something brewing in the background, of a menace slowly growing. This becomes more evident with Season Two, when several plotlines move toward the inevitable war: a war that ends up being fought on many fronts – the open skirmishes for power, and the subtler and even more dangerous political maneuverings. While the true peril creeps closer. Season Three and Four are by far my favorites: here the various narrative threads and the clues deftly placed along the way blossom into a gripping, many-layered story that sees the main characters face both external foes and their own inner demons. The outcome is never taken for granted and there are pain and loss to deal with, but these elements pave the way for some truly astounding and memorable characterization work. The troubled road for this show seemed to point for a while toward a cancellation that was revoked almost in extremis: for this reason, the first part of Season Five feels a little disconnected, only to pick up speed and strength and move toward an ending that is both epic and moving in its intensity. I’m aware I’ve been more than cryptic with the series’ summary, but it’s next to impossible to write about it in any way without revealing vital details. What I can safely say is that you will discover the same complexity of narrative, the same three-dimensionality of characters you could find in a book: the deep, wonderfully phrased dialogues will give you the same depth you can find inside a book’s pages (something that tv shows rarely manage), and as it happens with great books, each revisitation of the story will gain you new insights and new discoveries – again, something that the little screen is not greatly known for. It changed the future, and it changed us. It taught us that we have to create the future, or others will do it for us. It showed us that we have care for one another, because if we don’t, who will? And that true strength sometimes comes from the most unlikely places. Mostly, though, I think it gave us hope that there can always be new beginnings… even for people like us.